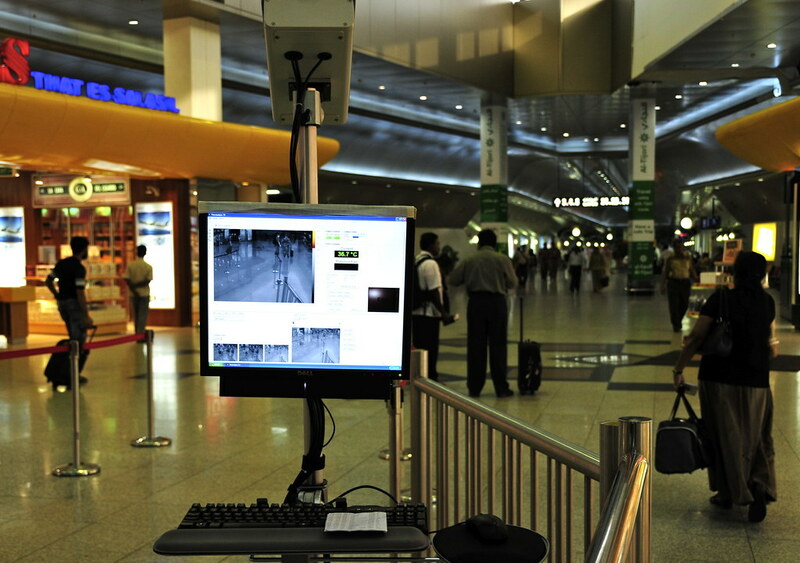 This special camera greats anyone arriving into Kuwait and instantly measures their body temperature. With Swine Flu officially a global pandemic, and the airports getting busier with the summer holiday season, it's a good precaution to take. Today's flight to Dubai was delayed, security checks took ages and boarding took more than an hour... I miss the quiet days. This is getting really annoying and they don't really know how to go about applying any security measures properly! I've never had the chance to see those cams in KIA. Thanks... Will do. I took another shot for KS. Will post all shortly. the security man in bathroom !! There was a man standing there... I asked him if I cold take a photo... He asked me which newspaper it was for.. I explained that it's only me and may put on blog blah blah... He said yeah sure... Then walked off!